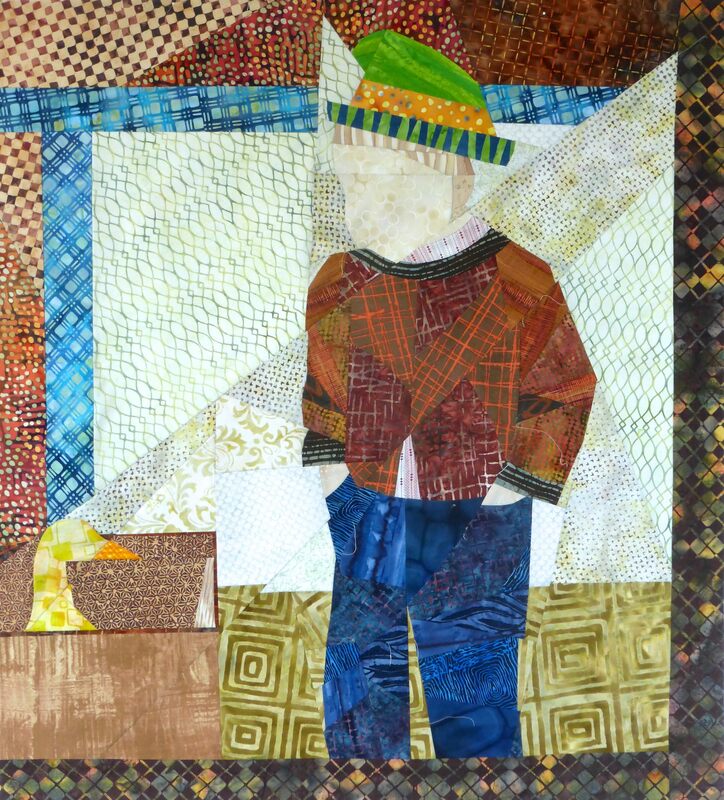 Informal family photos make wonderful pieced quilts. 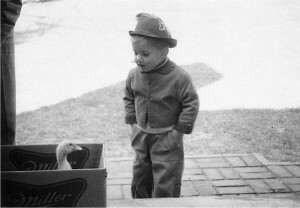 In this photo, the little boy and his duck create an interesting pair. Seam lines resonate with and connect these two figures. The use of many different yet similar fabrics creates dimension in the boy’s jacket and pants. Careful fabric placement also places the duck inside the box. The blue interior border is part of the piecing design and help to focus attention on the two figures.